On one side of the spectrum, we’ve got the long-range super-accurate sniper rifles, in the middle we’ve got the midrange medium-accurate assault rifle, now to round things off here come the short-range screw-accuracy shotguns. 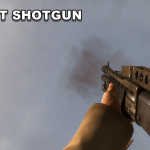 Not that these guns can’t hold their own in mid-range combat; horde games always give players some of the best shotguns that can wreck the enemy even outside their favored range, and keep the damage coming indefinitely due to the quick single-shell reload system. 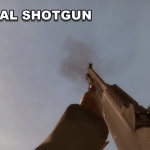 Left 4 Dead 2 has a larger variety of shotguns available to the player, with the Chrome Shotgun and Pump Shotgun among the earliest weapons found in the campaign. 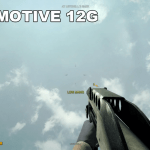 They correlate to the two higher-tier automatic shotguns (the SPAS-12 and M1014) in that the former is more accurate with fewer pellets, while the latter is less accurate but with more (lower-damage) pellets. 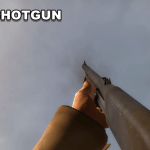 The Chrome shotgun actually continues filling a niche beyond its tier in that it’s the most accurate shotgun in the game, especially with a laser sight. Every team should always have at least one shotgun user, especially because it directly counters the Witch special infected. Despite being one of the two boss encounters, any of the four shotguns can eliminate her in a single blast so long as every pellet connects. Payday:The Heist doesn’t have quite so many options because of how shotguns work codewise. Each pellet does not deal its own damage, instead every enemy that gets hit with a pellet takes the full damage from that shotgun blast, and the game’s lack of damage falloff means that it’s quite capable of blowing someone across the room from across the room. The only choice is whether to equip the powerful primary-slot Reinbeck or the lesser-but-secondary-slot Locomotive. (or both.) 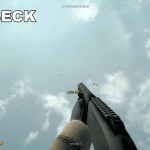 Each shotgun is more than capable of holding its own in combat due to dealing such ridiculous damage in a wide spread per shot, and the Reinbeck has an additional upside in that every ammo pickup grants it 1-2 more shells. This means you’ll almost never worry about running out of ammo. I use the Reinbeck on a semi-regular basis if the heist’s combat is primarily indoors, like Panic Room, but I prefer the Mark 11 SMG over the Loco if I’m looking for a crowd control secondary. What can I say, they’re shotguns. The classic crowd control weapons, no surprise they’d shine in a game dedicated to horde combat. Personally I prefer the tighter-spread shotguns so that whatever’s in my crosshair takes as much damage as quickly as possible. Plus the SPAS-12 has that badass black frame. 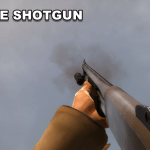 If a player new to the genre ever asks, I always recommend the shotguns because of their versatility, ease of use and adaptability. This does not extend to TF2’s Mann vs. Machine, where shotguns face stiff competition from non-weapons like Sandviches, banners, Rescue Rangers and flare guns. In a mode where primary weapons are more than capable of wiping entire waves of robots, a plinky secondary damage option is easily passed over. At least the scout usually has his scattergun, for when he’s not maxing out resistances and collecting cash.